Prof. A Rajendra Prasad, Dean, Student Affairs, and Principal of Andhra University College of Law, has been appointed as Vice-Chancellor of Acharya Nagarjuna University. Prof. Prasad is also a Commonwealth Academic fellow and had worked in the Faculty of Law, University of Sheffield, UK. Prof. Prasad, while thanking the Chancellor and Governor, Chief Minister and Minister for HRD for selecting him for the post, said, he would take all those concerned into confidence and work for the overall development of ANU. “Nagarjuna University is in focus now since it is in the capital region, and it should also get involved in the development of our capital Amaravati. My focus would be on academic and research activity”. 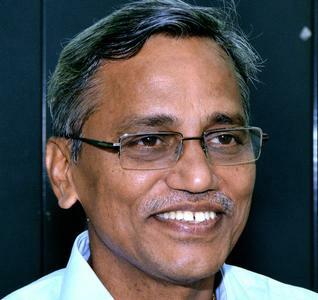 Born in Nellore on August 12, 1955, Prof. Rajendra Prasad did his BL. at Sri Venkateswara University, LLM. in commercial laws from Nagpur University with a merit certificate and Ph.D. from AU in 1996. Some of the awards Prof. Prasad has received are the Commonwealth Fellowship to work at the University of Sheffield as Commonwealth Academic Fellow during 2001-02 and best academician, best researcher and best thesis awards from AU. Did Prof. A. Rajendra Prasad Garu promote ANU To NAAC A Grade ? On his welcome ceremony Prof.A. Rajendra Prasad said that I will work to promote ANU to NAAC A Grade University. We believe in sir, your the person we are looking from the last one year. We are all always with you. It is almost a year since a regular Vice-Chancellor was appointed after the superannuation of K. Viyanna Rao. During the period, three in-charge Vice-Chancellors were appointed. The university has witnessed turbulent times since the death of M. Rishiteswari, a student of Architecture. Since then, the university had been administered by two in-charge V-Cs including Commissioner of Technical Education B. Udayalakshmi. There are so many problems in front of new VS sir, The Exams paper evaluation system of ANU was not in good position. There was a rummer like " If a student get fail in his/her exams...if they go for evaluation them they will get 50% plus marks ". How is it possible ? Is it possible for all the students? This is what is happening from past evaluation system. Note: Article was written only for general purpose only.